Finally I see a real review! It’s taken a while to get here, and I wish I had known about it earlier–but Roy, who I know well, has done a good job of summarizing my main ideas. And he got color photos too! I used to say that it’s harder to find hard to find things than it is to get them. Now I’m not so sure. S.A. Jones wrote a petition to the US Supreme Court saying that some Black farmers had been convicted and sentenced to death by a jury frightened by a mob and that they should be freed. Once I knew of the petition, I could find and post it. It is a harrowing description of Jim Crow. The same thing happened when I hear about a brief written by Thurgood Marshall for the NAACP in support of the families of some Hispanic students who wanted to go the same schools as White children in Orange County, California. It is the first version of the arguments in Brown v Board of Education. Although I am not of the same color as you, I have always regarded you as my brothers. Nature has formed you to have the same spirit, the same reason, the same virtues as Whites. I speak here only of those in Europe, as for whites of the Colonies, I do not insult you by comparing them with you; I know how many times your loyalty, your honesty, your courage have left your masters ashamed. Si on alloit chercher un homme dans les Isles de l’Amérique, ce ne seroit point parmi les gens de chair blanche qu’on le trouveroit. This was an important essay in the French Revolution and early expression of White folks’ moral development. Wouldn’t it be fun to engage a 3rd year high school French class in a Black neighborhood in an effort to translate it properly? 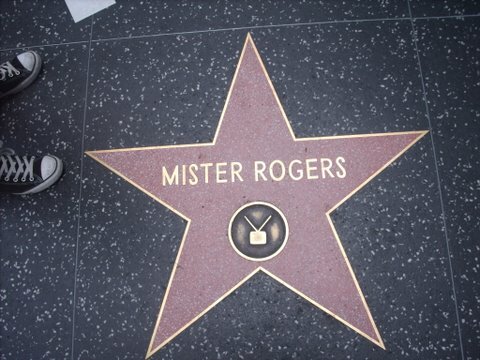 Now he was a star! Yesterday we went for a walk at the Arboretum–in Arcadia just across the street from the Santa Anita Racetrack. It’s just a lovely place to visit and see all those spectacular plantings–from the days when the fat cat philanthropists wanted to show off their wealth and property by growing as many plants from around the world that would grow in this wonderful climate. LOTS of Australian natives, that’s for sure! It got me reminiscing about visiting when I was a kid, and why the Arboretum was the place we always went–only RARELY did we go to the Huntington Gardens, which were not much further away. My dad the horticulturalist always brought along a pocket of rootone (! or its 1950s equivalent) and took cuttings from plants he liked! The Arboretum was a county facility, so it may have even been free back in those salad days. The Huntington, on the other hand, was always considered snooty and not for the likes of us–my dad was very surreptitious about taking cuttings when we were there! 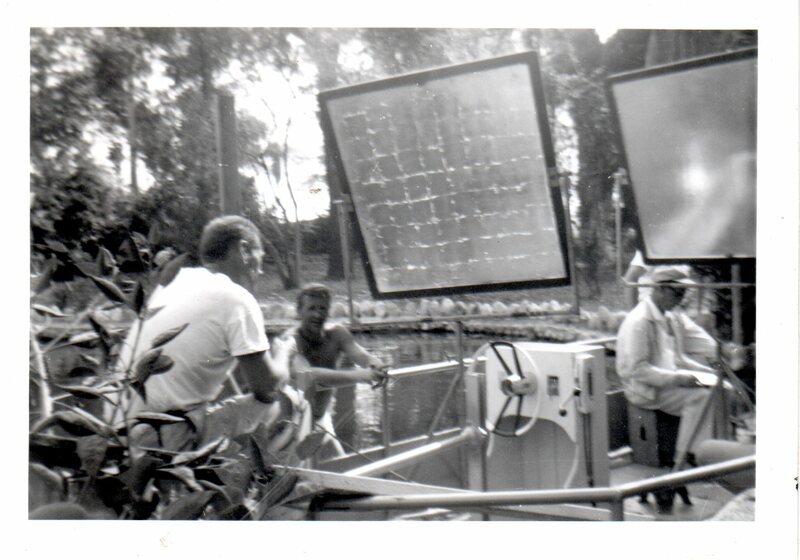 The photo is from a 1961 visit to the Arboretum, when Lloyd Bridges was filming “Sea Hunt” in the Tropical Jungle garden! He actually went into the murky waters of the tropical jungle pond that was supposed to be South America. My mother was thrilled to be there! (She always took lousy photographs, though.) This kind of thing happened fairly often in SoCal in those days, when TV shows were still all made in Hollywood, and local places served as the backdrops for a variety of locales. There was something very middle class and home-town about it all then. The Arboretum was our place, the people’s place. The Huntington was not.